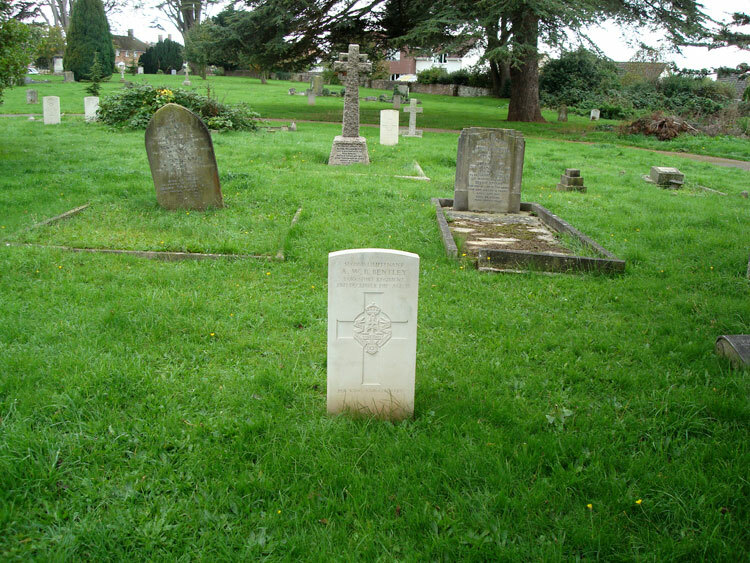 Taunton (St. Mary's) Cemetery, contains 89 Commonwealth War Graves from both the First World and Second World Wars. 34 of the graves are First World War burials (curiously there are many more Second World War burials than First World War). We are extremely grateful to Taunton Deane Cemeteries and Crematorium for providing the photos of the headstone and the cemetery, below. 2nd Lieutenant Arthur Webb Butler Bentley. 3rd Battalion the Yorkshire Regiment. Son of Dr. Arthur James Macdonald Bentley. 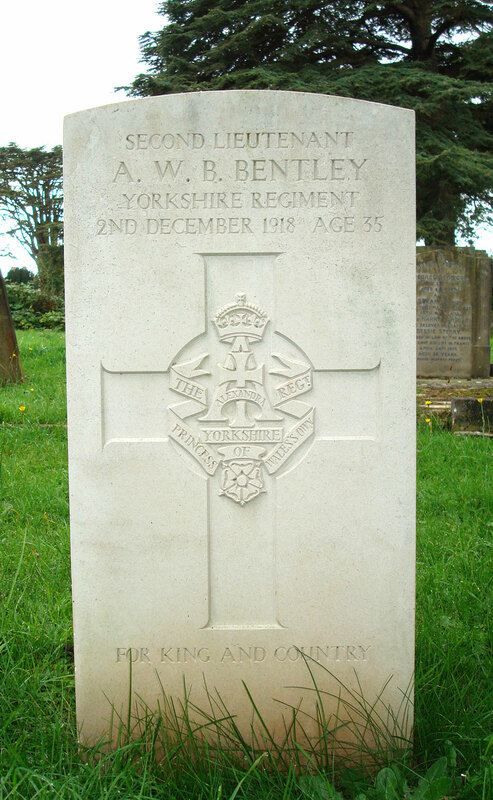 Died at home 2 December 1918. Aged 35. This Officer was born in Malaya, and attested to join the Canadian Expeditionary Force in Winnpeg. See "Soldiers of the First World War, Canadian Expeditionary Force". He is commemorated on the Canadian Virtual War Memorial.